Inside, you'll get detailed video instruction and video demonstrations showing you all the key pitching grips you'll need to learn - from fastballs, to breaking pitches, changeups, and alternative pitches. Plus, developmental drills and coaching tips to accelerate your success! 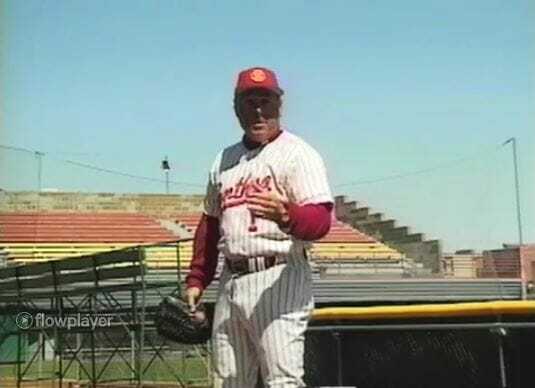 Your instructor is the one and only Jerry Weinstein - American Baseball Coaches Association Hall of Famer, and one of the most respected pitching "gurus" in the game! And you can make this investment without any worries, because you're completely covered by my 60 day 100% no questions asked, money back guarantee! Order this amazing online video clinic. Watch it, then take up to 60 days to try out these secrets with your team. If you decide this isn't for you for any reason, or no reason at all - no problem. Just contact us and you'll receive a prompt refund of every penny of your purchase price - no questions asked, and no hassles. You can stream the videos over your Internet connection, watch them on your iPhone, iPad or other mobile device, or save them to your computer to watch any time. It’s available to you anywhere in the world with an Internet connection, at any time of the day or night!